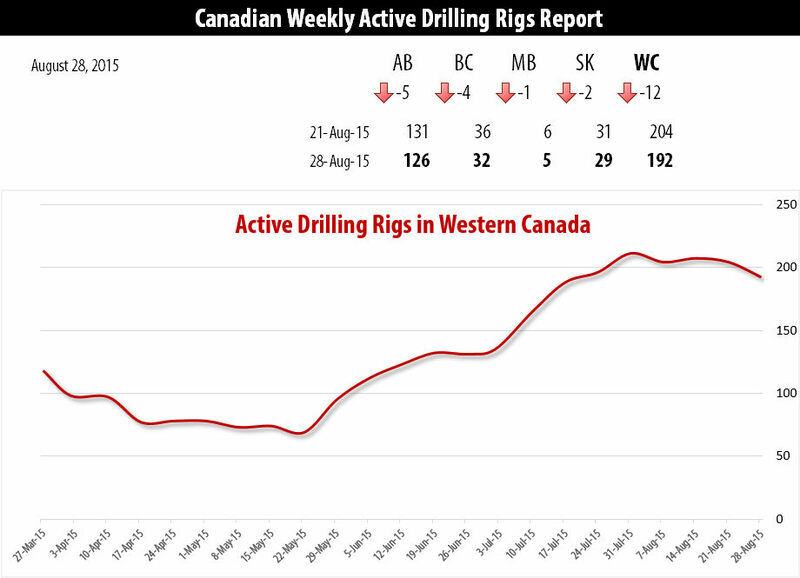 CALGARY, Alberta (August 28, 2015) – RigER presents Canadian Drilling Rigs Activity Report. 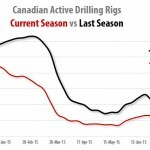 Canadian Rig Count is down 12 rigs from last week to 196, with oil rigs down 9 to 88, and gas rigs down 3 to 108. 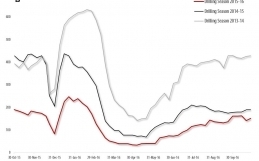 Canadian Rig Count is down 213 rigs from last year at 409, with oil rigs down 143, and gas rigs down 70. 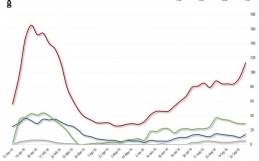 Oil / Gas split is 45% / 55%. 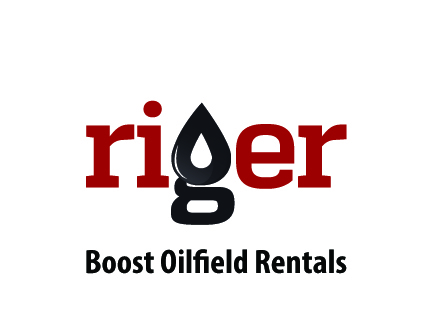 RigER has issued weekly Canadian Drilling Rigs Activity Reports as an information service to the oilfield rental industry since 2015. The Drilling Rigs Activity Reports are an important business barometer for the drilling industry, oilfield service, rentals and its suppliers. When drilling rigs are active, they consume products and services produced by the oil service industry. The active rig count acts as a leading indicator of demand for products used in drilling, completing, producing and processing hydrocarbons. Industries usually measure economic impact by approximating a dollar value to represent their purchasing power. The oil and gas industry measures economic impact by counting active rigs. A drilling rig requires many oilfield support services to drill a well. And after the well is complete, other oilfield services go to work to bring the well into production and to maintain it. Rig utilization is the percentage of active rigs. 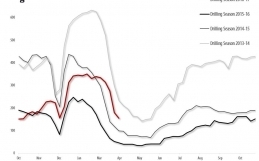 In Canada, rig utilization has a distinct annual cycle. U.S. Rig Count is down 8 rigs from last week to 877, with oil rigs up 1 at 675, gas rigs down 9 to 202, and miscellaneous rigs unchanged at 0. U.S. Rig Count is down 1,037 rigs from last year at 1,914, with oil rigs down 900, gas rigs down 136, and miscellaneous rigs down 1. 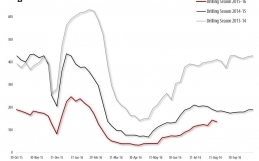 The U.S. Offshore rig count is 30, down 2 rigs from last week, and down 36 rigs year over year. Additional information on the rig count is available on Baker Hughes Incorporated rig count website at www.bakerhughes.com/rigcount. 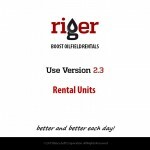 RigER (Rig Equipment Rentals) is oilfield operations management software for energy service companies. It makes oilfield service and rentals simple to manage from first client call to final invoice: client quote and rental agreement, service request, job schedule, rental fleet management, oilfield calendar, field tickets, delivery ticket, serial numbers tracking, performance analysis and more. Schedule Service Sooner, Dispatch Jobs Quickly, Invoice Clients Faster, Get Accurate Reports! © 2012-2018 Belca Soft Corporation. All rights Reserved.